The take-over of EMI’s recorded music arm by Universal Music Group was still on the agenda in 2013. The EU Commission ordered Universal Music to divest EMI Recording Ltd. (including EMI’s Parlophone label group, with the exception of the Beatles), Chrysalis (but without the Robbie Williams catalogue) and Mute Records, EMI and Virgin Classical as well as the local EMI branches in France, Spain, Portugal, Belgium, Denmark, Sweden, Norway, Poland, Czech Republic/Slovakia and Universal Greece. Thus, the Parlophone Music Group was sold to Warner Music for GBP 487m. The EU Commission eventually cleared the deal in May 2013. 2013 was also the year of booming music streaming services. Led by Spotify, music streaming services reported a growing number of users and increasing revenues. The market entry of Apple with iTunes Radio and Google with All Access raised the expectations of a turnaround in the recorded music market. In the series of six blog entries “Is Streaming the Next Big Thing?”, I tried to assess if these expectations are legitimate from the labels’, artists’, consumers’ and streaming services’ perspective on the basis of an international market analysis. 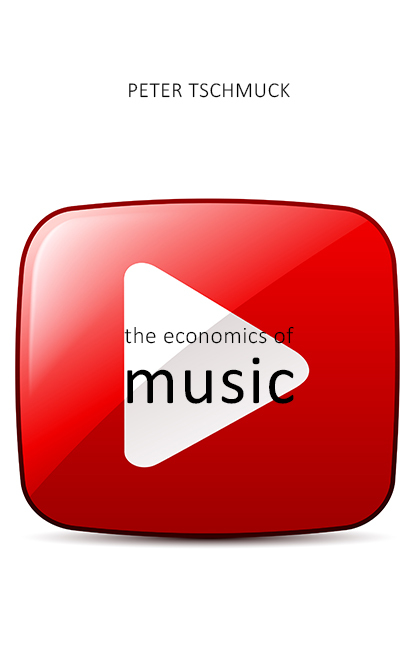 The booming music streaming market was the perfect starting point for the 4th Vienna Music Business Research Days “The Future of Music Licensing” (June, 20-21, 2013). The role of collecting societies in the digital age was as well discussed as the EU directive on collective rights management and the need for a comprehensive database of music licences. In the course of the VMBR-Days the best paper of the Young Scholars’ Workshop was awarded for the second time. Sisley Maillard of the Université Telecom ParisTech was awarded for her paper “Consumer Information in the Digital Age: Empirical Evidence from the Spillovers in the Music Industry” as well as Francisco Bernardo/Luis Gustavo Martins of the Catholic University of Portugal in Porto for “Disintermediation Effects in the Music Business – A Return to Old Times”. Both papers are considered for publication in the International Journal of Music Business Research (IJMBR).